This article provides in-depth fundamental analysis of Chaman Lal Setia Exports Ltd, an Indian basmati rice producer and exporter company owning the Maharani Basmati rice brand. 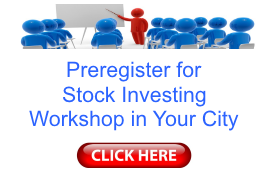 I would like to thank you a lot for the great service that you are doing to small retail investors who want to do value investing. 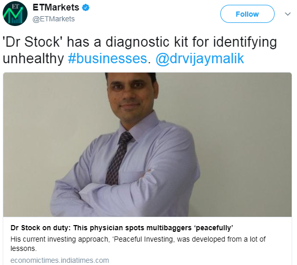 I have been reading value investing related articles from Prof. Sanjay Bakshi, Vishal (Safal Niveshak) and several other blogs and books for a couple of months now. 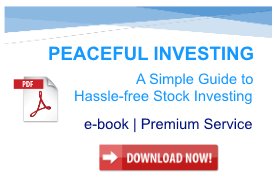 But I must admit that the simplicity with which you have explained the basics of value investing is amazing. Your example based approach to analyze companies based on principles of value investing helped me to learn a lot. I am grateful to you. price to earnings ratio (PE) under 10. The company looks attractive to me. But there are certain questions. I have read your article on KRBLLtd and understand that rice milling is a cash-intensive industry. Chaman Lal Setia Exports Ltd has shown some good traits as well as some challenges. I would like to share my analysis with you and want to know your views. Also, I have some confusion for which I have raised questions. Please find attached the excel sheet downloaded from screener.in. 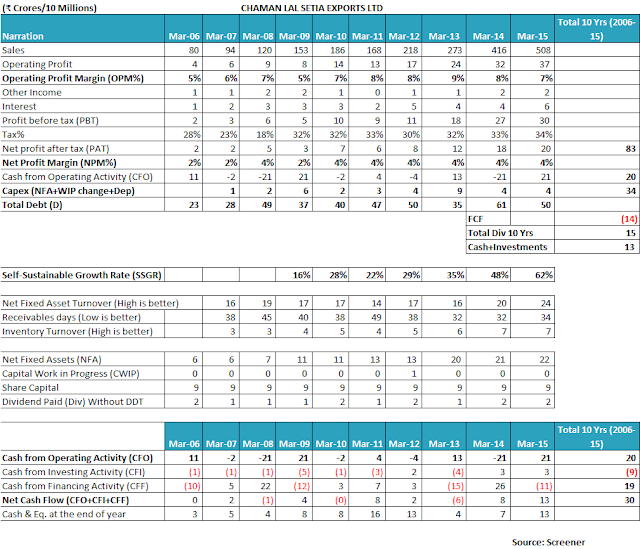 I have added a sheet “DrVijayMalikChecklist” in which column ‘F’ and ‘G’ is my analysis on the checklist. Also, there is sheet SSGR in which I have tried to calculate Self-Sustainable Growth Rate (SSGR). I considered Net Block as net fixed assets (NFA) (I doubt is incorrect). Please point out where I can get NFA and also look at my calculation of SSGR. I was not able to find 10 years annual reports of the company so for capital expenditure (Capex) and free cash flow (FCF), I have relied on data available on morningstar.in. Though it provided data from FY2010 onwards. Compared to KRBL Ltd, which has a processing capacity of 195 MT/hr. this company has a capacity of only 14 MT/hr. As of 2015 annual report, 80% of the revenue comes from exporting basmati rice and 20% from the domestic market. The company is able to increase its operating margin from 2.5% to 7.5% in the last 10 years. Trailing twelve months (TTM) operating profit margin (OPM) has even increased to 12.76%. The company is focusing on new clients and branding and packaging. It has some in house technologies to reduce cost and water wastage which seems to boost the OPM. The company has increased its sales at a compounded annual growth rate (CAGR) of 22% and profit after tax (PAT) at 31% in last 10 years. But to my surprise, the production capacity remains at 14 MT/hr. since 2011 till date. I was not able to find annual reports beyond that. The actual production in 2011 was 32000 MT which is approx. same as in 2015. So is it possible that all growth in sales is coming from an increase in price? It claims of producing rice for diabetics which is selling at a premium. An online search shows the Maharani Brand rice selling per kg for $4.95. The revenue from export in 2011 was ₹112 cr while in 2015 was ₹393 cr. Is all growth in sales coming from branding and increase in price? Also, company has been awarded star trading house from the government. Does that mean they also export other smaller players’ rice and record the revenues on its books? The industry is capital intensive. Most of the money is stuck in working capital. Though we can see that receivable days are stable at 34. Inventory turnover has increased to 7.5 from 2.5. While cumulative cash flow from operations (cCFO) in last 10 years is just ₹20cr compared to ₹88cr cumulative profit after tax (cPAT). Chaman Lal Setia Exports Ltd is not able to convert profits into cash. The company is constantly using debt in last 10 years though the debt to equity ratio has come down from 1.32 in 2011 to 0.63 in 2015. As per CRISIL credit rating report, the cash flow in 2016 and 2017 will be ₹22 cr each. That may give some cushion in the medium term. CFO and FCF alternating as positive and negative every year. Not sure if the ratio makes any sense. ₹20.75 cr has to be supplied using debt which is not a good thing. It means that Chaman Lal Setia Exports Ltd is paying the dividends out of debt also funding capex from debt. As of FY2015, ₹17 cr long-term borrowing comes from the directors’ deposit while ₹33 cr short term borrowing is in the form of cash/packaging credit from Punjab National Bank (PNB). The interest outgo for 2015 is ₹6.32 cr as per income statement while in the cash flow (CF) statement, it is ₹11 cr. Which means it may be pre-paying the loan? Growth should be consistent year on year. Ignore companies where a sudden spurt of sales in one year is confounding the 10 years performance. 10 year average OPM is 7.38%. It has been mostly stable and increasing from 4.88% in 2006 to 7.25% in 2015. Though rice is commodity and price fluctuate company is able to increase OPM driven by its practice of maintaining low inventory, which helped it to mitigate the impact of falling paddy prices during the year. The trailing OPM stands at 12.76% due to increase in sales and managing cost and branding and marketing effort. Despite Iran sanctions, there is no impact on OPM as company policy of 10% exposure to Iran. With sanctions removed this could further increase. Since 2009 company is maintaining tax rate of > 30% Minimum tax rate is 18% in 2008, 23% in 2007 and 28% in 2006. 10 year cCFO is 20.2 cr. It has been positive and negative in alternate years. Seems it stuck in working capital. 10 year cPAT is 82.77 cr. 10 year cCFO is 20.2 cr. The company is not able to convert profits into cash. Need to check further. Inventory turnover has increased from 2.51 to 7.46. Receivable days see no improvement and remain at 34 days since last 10 years with some cyclical ranging from 33 to 53. The capacity of 14 MT/hr. in 2011 as per Crisil report. The same capacity till 2015. Actual Production 2015 = 31325.2 MT Actual Production 2010 = 32499.5 MT Surprising to see the sales coming from export in 2015 as 393cr compared to 112cr in 2010 with the same production. A Moat would result in increasing profits with increasing sales. Otherwise, sales growth is only a result of unnecessary expansion or aggressive marketing push, which would erode value in long term. If cPAT >> cCFO, then either the profits are fictitious or the company is selling to any John Doe for higher sales without having the ability to collect money from them. The increase in MCap in last 10 yrs. > Retained profits in last 10 yrs. 67.72 cr is retained earnings in 10 years. 268 cr is increased in market cap in 10 years. For Re 1 retained Rs 3.95 market cap value created. Chaman Lal is headed by an experienced management who brings along more than 25 years of experience in the rice production and processing industry. It is led by Mr Chaman Lal Setia (chairman and managing director) who looks after the overall management of the company. His two sons Mr Vijay Setia (executive director) looks after procurement, processing and production of rice, while Mr Rajeev Setia (executive director) looks after marketing and finance activities. Vijay Setia having experience of more than 35 years in Rice Milling Industry. About 20 research papers, two technologies under patent. President All India Rice Exporters Association (Regd.). He is also engaged by Gerson Lehrman Group as a consultant in the field of food technology. Each of the senior MDs is getting 50 lacs/year. While second generation Sukarn and Sankesh Setia 6 lacs/year. While Ankit 62 lacs/year which includes the commission of 50 lac. Overall the remuneration seems to be on the higher side to a tune of 2.32 cr which is 12% of the profit of 19.5 cr. The company should have shown good project execution skills with cost and time overruns. Exclude capacity increase by mergers & acquisitions. The company should be either a pure play (only one business segment) or related products. Pure play model ensures that the management is specialized in what they are doing.Entirely different unrelated products/services are a strict NO. An investor should rather buy stocks of different companies if she wants such diversification. It’s a pure basmati rice processing company. Branding, packaging and exporting of rice. 80% revenue from exports. No cap on profit returns or pricing of the product.No compulsion to supply to certain clients. Govt. can influence but has less impact on basmati rice export as most of the basmati rice in India falls in the premium segment and used for exporting. Higher the EY than 10 Yr. G-Sec Yield, the better. This is the margin of safety in the purchase price. SSGR coming as 64% for 2015. 10 yr. the average comes at 28%. I am bit not sure on my calculation. Please refer sheet SSGR. CFO and FCF alternating as positive and negative every year. Not sure if the ratio makes any sense. 6 year cCFO = 11.11 cr 6 year cFCF = -11.19 cr 6 year Capex = 22.30 cr 6 year Div Paid= 9.56 cr Capex + Div = 31.86 cr while CFO = 11.11 cr 20.75 cr has to be supplied using debt. Since Chaman Lal Setia Exports Ltd is not increasing capacity, it is using capex to improve efficiency, which is reflected in OPM. While medium term cash outlook seems good but long term cash requirement can be challenging based on nature of Industry. The management is experienced and in house technologies have allowed the company to gain efficiency. Though management is a family hierarchy with father, son and grandsons on the board of directors and playing all important roles. Succession plan seems comfortable but management compensation is on the higher side at 12% of net profits. If we consider 8 hr. * 300 days milling in a year at 14 MT/hr. then capacity comes out to be 33600 MT per annum. If we consider 12 hr. * 300 days milling in a year at 14 MT/hr. then capacity comes out to be 50400 MT per annum. With actual production in 2015 at 32000 MT, the utilization is at 95% and 63% respectively. Which gives me a notion that company is well placed to meet more demand at the same capacity by working extra hours. Industry falls in premium rice category so less impacted by regulations but not fully insulate. Recently Iran sanctions impacted the industry and low rain fall increase price of paddy but the company was able to mitigate both these risks which were reflected in an increase in sale and OPM. 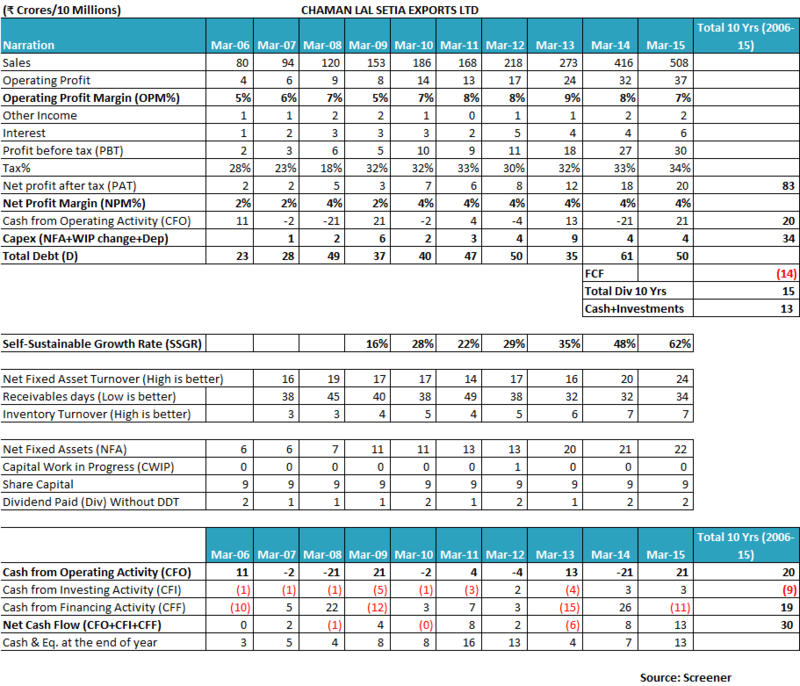 With PE of 7.5 and 10 years SSGR of 35% and actual growth of 22%, Chaman Lal Setia Exports Ltd provides a margin of safety (MoS), but the only challenging part is the cash flow from operations (CFO), which is challenged. It is yet to see how a company can increase sales, OPM and decrease debt to improve CFO. Out of all criteria mentioned in your checklist, 10 are not matching, which are mostly related to cash flow. Having said that other 22 criteria match. If the company continues to increase sales and OPM and improves CFO it could be good in long term. First, I appreciate you for the time and effort put by you in analyzing Chaman Lal Setia Exports Ltd in detail. 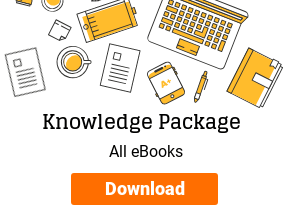 The compiling of data like production capacity, utilization levels, promoter’s salaries etc. require a lot of diligent effort of scanning through past annual reports, which tests the patience of the investor. 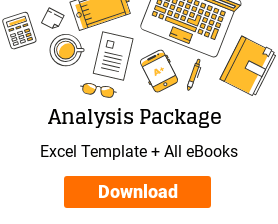 I thank you for sharing your analysis with the author and readers of this website as your analysis is very helpful for all readers to get a good grasp on all the key aspects of Chaman Lal Setia Exports Ltd. 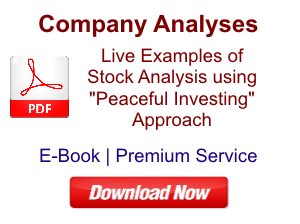 Your analysis is helpful to investors to make a quick assessment of the company. I congratulate you for the good work done by you. Chaman Lal Setia Exports Ltd, as mentioned by you, has been growing its sales at a good pace of 23% year on year for last 10 years (FY2006-15). It is important to notice that the operating profit margins (OPM) of Chaman Lal Setia Exports Ltd have been stable in the range of 7-9% over the years. This is a very good sign considering that the main product of the company “Rice” is an agricultural commodity where wide fluctuations in the raw material prices are very common. Stable operating margins speak about the strength of its rice brand “Maharani” where Chaman Lal Setia Exports Ltd is able to pass on the input cost escalations to the end consumers and protect its profitability margins. The brand Maharani, though being an established brand, however, does not come close to the brand India Gate rice of KRBL Ltd, which commands a premium over its peers and sells at a significantly higher price than other brands. A cursory analysis of operating profitability margins of KRBL Ltd and its quick comparison with OPM of Chaman Lal Setia Exports Ltd would tell the reader that KRBL Ltd which has almost double OPM than Chaman Lal Setia Exports Ltd, commands better brand recognition and pricing power. Chaman Lal Setia Exports Ltd has been paying its taxes in the range of 30-34%, which is in line with the standard corporate tax rate applicable in India, which is a good sign for the investors. Operating efficiency parameters of Chaman Lal Setia Exports Ltd reflect that the efficiency has improved over the years. Net fixed assets turnover has been increased from 16 to 24 over last 10 years (FY2006-15). Similarly, the inventory turnover ratio (ITR) has improved from 3 in FY2007 to 7 in FY2015. This efficiency is evident for the reasons highlighted by you that Chaman Lal Setia Exports Ltd has been able to earn higher revenue from its existing plants without a lot of increase in operating capacity in recent years. As highlighted by the company in its annual report, the primary reason for the increase in revenue with a similar level of operating capacity is on account of increase in prices of the products and strengthening of the US Dollar against Indian Rupee. This is also corroborated by the fact that most of the growth in the revenue of the company has come from its exports operations. Domestic sales are almost flat. The analysis of the receivable position of the company presents an interesting picture. The receivables position of Chaman Lal Setia Exports Ltd is following a cyclical pattern with movement between 38-45-38-49-32-34 days over the years. However, if noticed from a 10 year perspective, the receivables days has improved from 38 days to 34 days, which is an improvement overall. So, over all it seems that Chaman Lal Setia Exports Ltd, has been improving its net fixed assets turnover, inventory turnover as well as the receivables days. Yet, when we analyse the key test of a collection of receivables and working capital efficiency, which is the conversion of profits into cash flow from operations by comparing cumulative profit after tax (cPAT) over last 10 years with the cumulative cash flow from operations (cCFO), then the company fails miserably. Looking at the above data, it becomes clear that working capital has consumed at least ₹76 cr. from the profits with receivables and inventory amounting for ₹40 cr. and ₹36 cr. respectively. This roughly explains the difference between cPAT of ₹83 cr. and cCFO of ₹20 cr. (An investor may do further reconciliation of figures by analysing cumulative depreciation and incremental trade payables over the years). The case of Chaman Lal Setia Exports Ltd is a good example of a case where the limitation of SSGR that it does not factor in working capital changes, gets highlighted. Chaman Lal Setia Exports Ltd has stable profitability margins, improving net fixed asset turnover, which are key parameters in the assessment of the self-sustainable growth rate. As a result, an investor would notice that Chaman Lal Setia Exports Ltd has an SSGR of 30% -60% over the years, which is much higher than the sales growth rate of 23% being achieved by the company. As a result, if the investor ignores the working capital position of the company, it might be concluded that the company can keep growing at a rate of 20%-25% without needing to raise debt/additional equity. However, such a conclusion would be erroneous. As mentioned in the article on SSGR, the investors must look at the working capital position before making a final opinion about the company from SSGR. In such cases, FCF would reveal a composite picture after factoring in the working capital and capex parameters. Faisal, you have done an excellent analysis of free cash flow position of the company and the conclusion that the dividends declared by the company have been primarily funded by debt. As it is obvious from the above analysis that Chaman Lal Setia Exports Ltd has generated only ₹20 cr. from CFO during FY2006-15, whereas it has used ₹34 cr. in capital expenditure and declared dividends of ₹15 cr. over the same period (FY2006-15). Thus the inflow of cash is only ₹20 cr. whereas the utilization is ₹49 cr. This cash flow gap of ₹29 cr. (49-20) has been bridged by the company by raising additional debt of ₹27 cr. An investor would notice that the total debt of Chaman Lal Setia Exports Ltd has increased from ₹23 cr. in FY2006 to ₹50 cr. in FY2015. Increasing debt levels with growing business are the features of companies operating in capital-intensive businesses. Faisal, you have done a good assessment of the capacity utilization of the company and have led us to a useful conclusion that Chaman Lal Setia Exports Ltd might not lead to huge capex in near future to sustain its growth. And you have rightly pointed out that the key aspect of cash flow management by the companies remains better handling of working capital, primarily inventories and receivables. Therefore, any investor should continuously have the working capital position of Chaman Lal Setia Exports Ltd as one of the key monitoring parameters. You have raised a concern about the company being awarded a Star Export House by the government and whether Chaman Lal Setia Exports Ltd is exporting rice of other small players as well. In order to promote exports, the government has initiated many schemes out of which Star Export House is one. The exports labelled as Star Export House get many benefits like preferential clearance of consignments, the sufficiency of self-declaration for many documentary requirements etc. and many other benefits. Chaman Lal Setia Exports Ltd has more than 80% of the income from exports and it would have made sense for them to apply for Star Export House recognition. 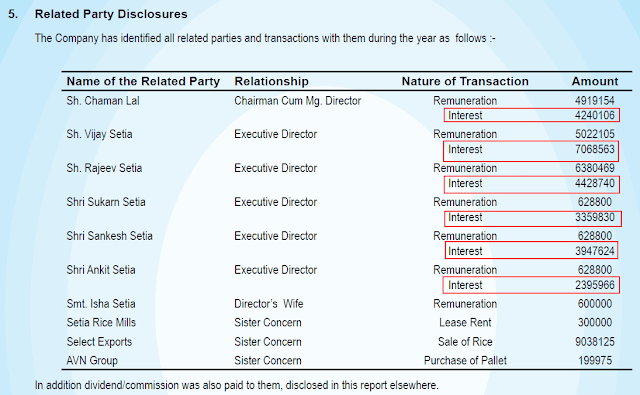 The annual report of the company for FY2015 does not disclose any meaningful income from trading/other activities, which would have been the income from exporting the rice of other players. Also, the notes to accounts do not contain any provision and accounting treatment of such income. Therefore, I believe that trading of rice of other players might not be a key activity for Chaman Lal Setia Exports Ltd. However, you may check on ground with different rice traders to know more about whether Chaman Lal Setia Exports Ltd is involved in trading of rice. The proceeds from borrowings of ₹ (-11) cr in cash flow from financing in FY2015, which is highlighted by you is the cash outflow for repayment of debt by Chaman Lal Setia Exports Ltd. The repayment of the debt is also visible in the reduction of the total debt from ₹61 cr. in FY2014 to ₹50 cr. in FY2015. In my assessment of SSGR, I take the net block as NFA. You are right in that perspective. However, the only difference I see in my calculation and yours is that I take 3 years average data for each of SSGR constituent parameter, which smoothens the abrupt year on year changes. You have rightly identified that the company has taken loans from its promoters. As per the FY2015 annual report, page 67, about ₹16.7 cr. of loans were outstanding at March 31, 2015. An investor would notice that, in the FY2015 annual report at page 51, the company has disclosed that it has paid an interest of about ₹2.6 cr. to directors for the loans. If an investor calculates the effective interest rate, which is being paid by the company to the promoters’/directors’ for their deposits/loans, then it would be 15.6% (₹2.6 cr./₹16.7 cr.). An interest rate of 15.6% seems high considering that the company can get cheaper financing from banks than the interest rate being paid to promoters. I appreciate you for pointing out the high level of management compensation in comparison to the profits. 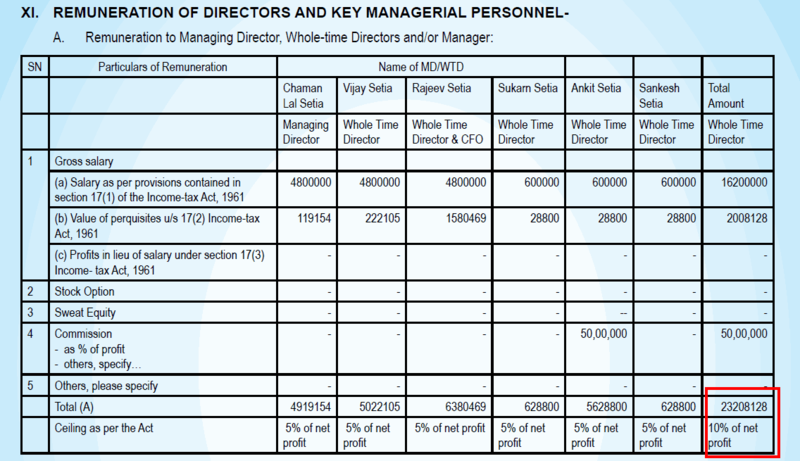 While reading the annual report, an investor would notice that the company seems to be paying high salary to its directors. 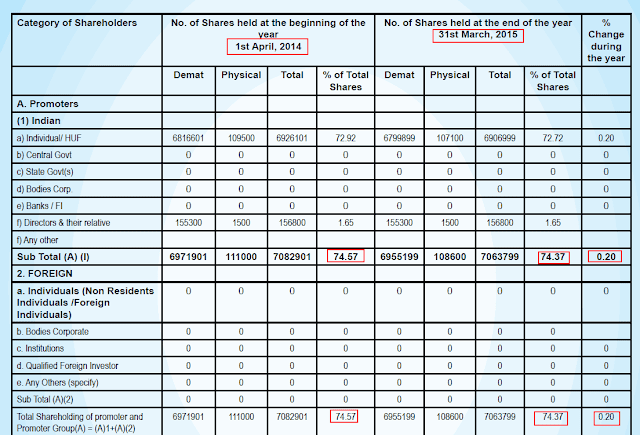 As per the FY2015 annual report, page 39, the company has paid a total of ₹2.3 cr. 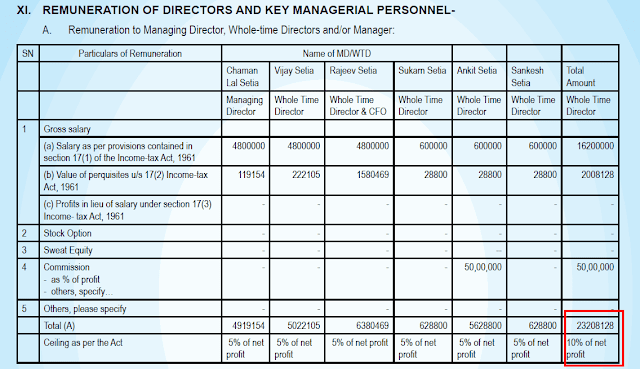 of remuneration to the directors. The net profit of the company for FY2015 is ₹19.5 cr. Therefore, the total remuneration of all the directors should not exceed ₹1.95 cr. (10% of ₹19.5 cr.) from industry benchmark perspective. It seems that the error has skipped the eyes of those responsible for making and verifying the annual report before publishing. It might be that due to lack of effective margin of safety in the business, the market might be pricing the company at a lower price to earnings ratio (P/E ratio). In such a situation, the attractiveness of low P/E ratio is many times might be proved erroneous and the investor may end up getting in to a value-trap. One should read the analysis of NOIDA Toll Bridge Company Ltd to understand the situation of a typical value-trap. Overall, Chaman Lal Setia Exports Ltd seems to be a company growing at a decent pace of 20-23%, which enjoys a value for its brand Maharani Basmati rice and thereby maintaining its operating profitability margins. However, the working capital intensive nature of its operations has resulted in most of its reported profits getting stuck in its inventory. Therefore, Chaman Lal Setia Exports Ltd has to borrow funds from lenders to meet the gap for its capex and paying a dividend to its shareholders. An investor should keep a track of working capital management by Chaman Lal Setia Exports Ltd to assess whether it is able to turn itself into a free cash flow positive company. The investor should also keep in mind issues related to management like higher interest rate on deposits by promoters, high remuneration when compared to profits etc. while making her final opinion about Chaman Lal Setia Exports Ltd. These are my views about Chaman Lal Setia Exports Ltd. However, you should do your own analysis before taking any investment related decision about Chaman Lal Setia Exports Ltd.